In facilitating a massive open online course or collaboration (MOOC), one consideration is how you will communicate with your participants. There are more direct methods like email; social media-based methods like Twitter, G+, and Facebook; and others like web sites and blogs. 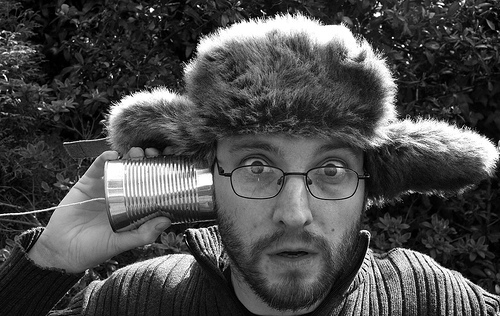 In working on the Making Connected Learning MOOC (CLMOOC) and other online learning experiences, I’ve found that using as many ways to communicate as possible is best. While some methods work well for some; others work better for others. Here is a list of some tools to consider with pros and cons for each. Email To me, email is one of the most straightforward ways for many to communicate and one of the few methods that requires no other action on the part of the participant. Of course, in order to communicate by email, you have to have participants’ email addresses which implies some kind of sign up process. For CLMOOC, we used a WordPress plug-in called MailPoet (formerly Wysija) for this. This gave us a simple sign-up tool and an easy way to send out mass email newsletters each week. One other note about the sign-up process: The temptation to ask all kinds of demographic questions when signing folks up is high, but my feeling is that a simple email address only sign-up will result in more participants.Cons to email include that some people participate in MOOCs without ever signing up (leaving you with no way to email them), the general oversaturation of people’s in-boxes, and school filters. In fact, the typical open rate on mass emails like this, even when they are solicited, is relatively low, often under 20%. Social media This includes things like Twitter, G+ communities, Facebook, and others. For participants who use these tools, these are often the preferred method of getting information. However, many people don’t use social media (especially Twitter), and others prefer to use tools like Facebook only for personal uses, so this can be hit or miss. For CLMOOC, we chose to use a G+ community as our primary place for community collaboration for the course, so we also cross-posted any important communications, such as links to our weekly email newsletters. Advantages of G+ are that it is really easy to use and that most folks already have a Google account. We also used Twitter, and for people who are already on Twitter, the response was strong. We opted not to use Facebook. While a critical mass of people are on Facebook, it is a very closed and proprietary network. Web sites and blogs Most MOOCs have some sort of central web site and/or blog, so this is another logical place to pose communications. A huge advantage of posting to a web site is that it provides a well-organized archive of all MOOC communications (unlike social media which is very difficult to search at a later date). For CLMOOC, we posted all important communications to our main WordPress site. The MailPoet tool linked well with this, since you can publish a post as an email newsletter as well. Sychronous events like Twitter chats and online webinars/hangoutsFor CLMOOC we also had weekly synchronous web-based hangouts on G+, as well as Twitter chats. While the interactions during these events tends to be particularly deep, participation is almost always low relative to the total number of participants. Electronic communications in the world we live in can be complex. While people are oversaturated, they still need to receive important information. For MOOcs, establishing solid communications channels is vital. Again, I recommend using as many of these methods as are practical. Cross-post important communications across all the channels you’re using. Consider posting on a slightly staggered schedule to connect with people at different times. Meet people where they are, and let them choose what works best for them.